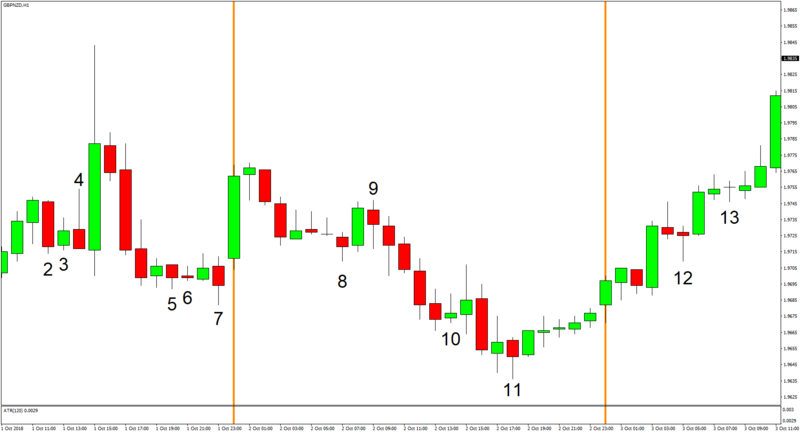 There was a clear downtrend on October 2, but intraday price action was still somewhat choppy, so some trades that went against the direction of the trend were also triggered, which naturally resulted in losses. 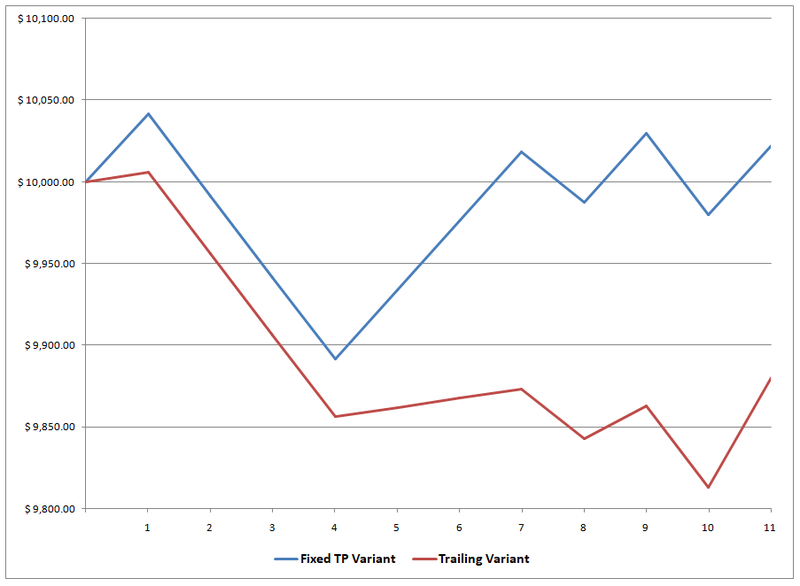 And those losses almost erased whatever gains both Variants were able to capture. Almost. 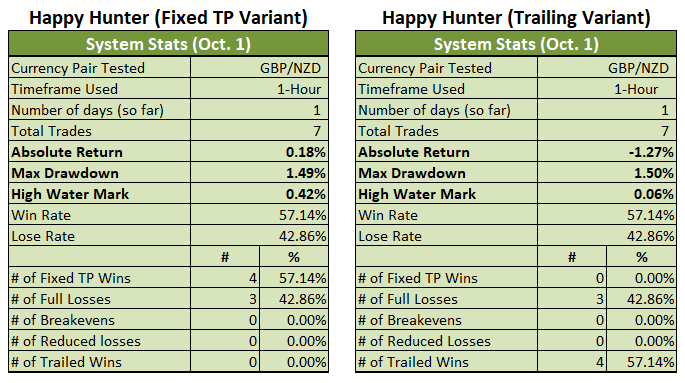 The Fixed TP Variant very slightly increased its gains for the month from +0.18% to +0.22%. 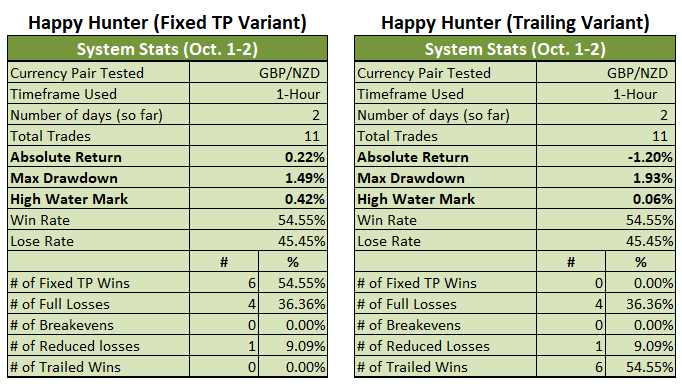 The Trailing Variant, meanwhile, ever so slightly trimmed its losses for the month from -1.27% to -1.20%.